American Son, a new Broadway play starring Kerry Washington and Steven Pasquale, is a gripping tale about who we are as a nation and how we deal with family relationships, love, loss, and identity. It delves into the tensions within police-community relations, interracial relations, and families. At a time when this nation is deeply divided, this story provides a platform for examining the critical issues of the day. 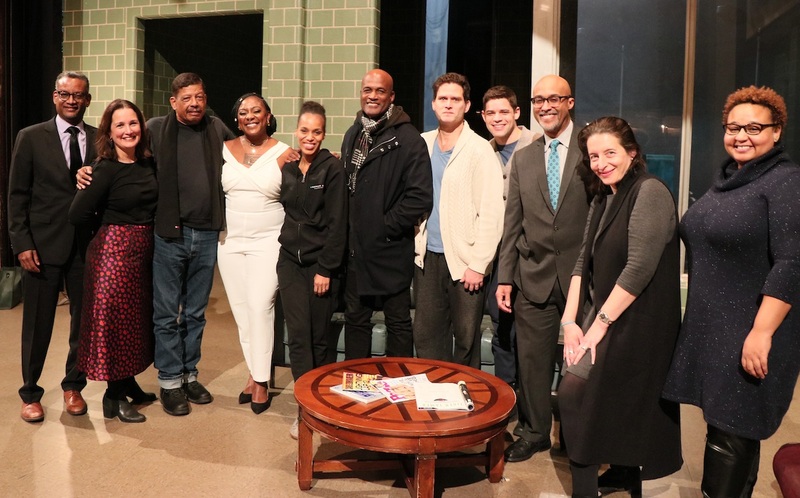 From left to right: Vince Warren, Betsy Richards, Eugene Lee, Alicia Garza, Kerry Washington, Kenny Leon, Steven Pasquale, Jeremy M. Jordan, Alan Jenkins, Ellen Buchman, and Jocelyn Prince. In an effort to facilitate a broader conversation about race, racism, and the criminal legal system in this country, we hope that Raising American Son: A Discussion Guide proves useful in framing the discussion and guiding you towards useful resources to learn more and to take action. While in pre-production and rehearsal for AMERICAN SON, we realized that giving people (myself included) tools to process this play would be a valuable part of the theatrical experience. [...] The impact that the play has been having on audiences makes me truly grateful for our partnership with THE OPPORTUNITY AGENDA. The tools they are developing allow for a robust continuation of these important conversations. Raising American Son: A Discussion Guide can be used after viewing the play and in other settings to foster productive conversations about race, policing, and identity. It should also be viewed as only the beginning to what is a conversation that must be thoughtfully continued. Available online for all audiences, “Raising American Son: A Discussion Guide” will also be provided in-venue. American Son and The Opportunity Agenda are working together to provide pathways for civic engagement, action, and online conversations for audience members who are so moved. 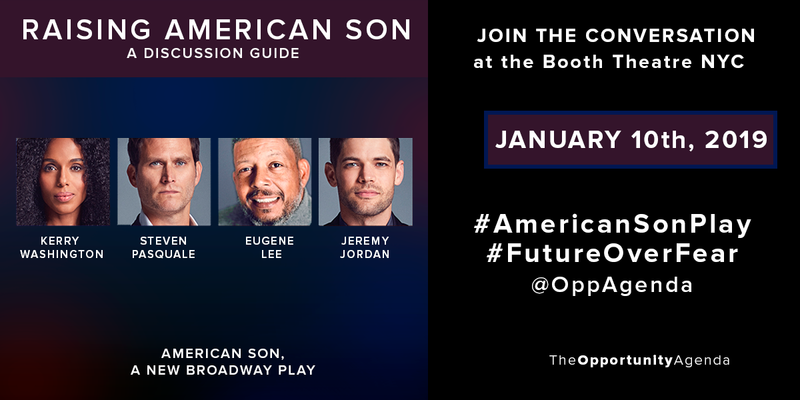 Follow the conversation using the hashtag #AmericanSonPlay and #FutureOverFear. Sign up for more free tools!